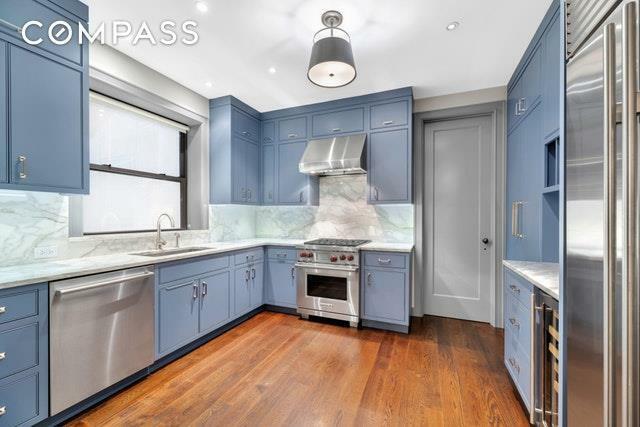 Mint Pre-War Chelsea Three Bedroom!This impeccably designed 3 bedroom/2 bathroom home, located on one of the most sought after tree-lined blocks in lower Chelsea, has recently undergone a complete renovation. Curated, high-end finishes which accentuate and add to the existing pre-war charm and architectural details of this home include custom crown and baseboard moldings, dark stained oak hardwood floors, 9ft ceilings, and new windows. The beautiful custom chefs kitchen features abundant storage and premium Calacatta marble countertops and backsplash. A top-of-the-line appliance package includes a SubZero refrigerator, Wolf range and vented hood, Bosch dishwasher, and ULine wine refrigerator. The master bedroom suite is complete with a large windowed customized walk-in closet and an en-suite bathroom featuring Waterworks fixtures, Thassos Marble tiled walls and vanity, herringbone marble floors, and Robern anti-fog medicine cabinet. 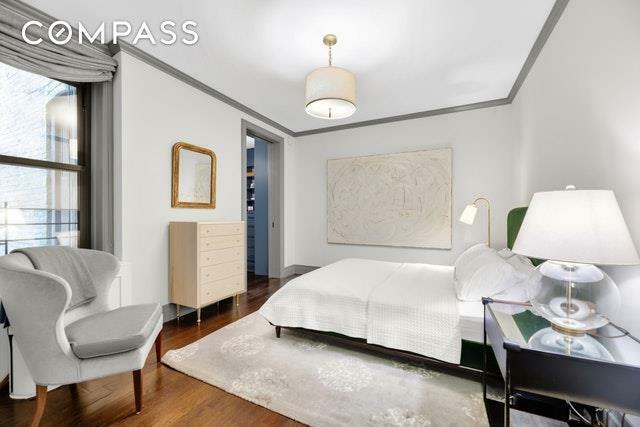 Located on the opposite end of the apartment are an additional two large bedrooms with ample closet space and an adjacent windowed second bath with Ann Sacks tiled walls, marble floor, and Waterworks vanity. Additional modern conveniences include thru-wall air conditioning and a vented Miele Washer/Dryer. 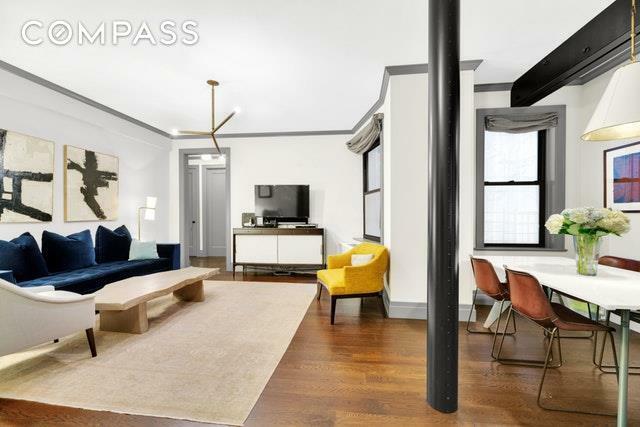 Ideally situated in lower Chelsea, this pre-war elevator co-op is beautifully maintained by a live-in super and features a lovely common roof deck with dramatic city views, central laundry, and separate bike storage. The lobby, hallways, and mechanicals have also been recently updated. Notable too are the co-ops low monthly maintenance charges. 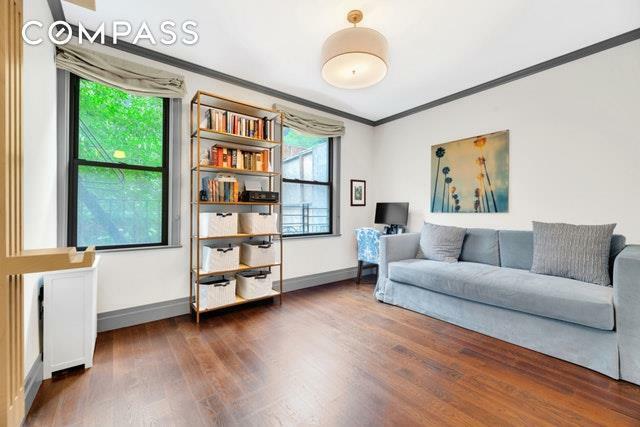 Listing courtesy of Endre Boksay of Compass.